Born in 1976, Marc Bourguignon (aka Aimbé) spent most of his childhood in Momignies, small border village in the region of Chimay. Coming from a large family he discovered art early in his age thanks to his parents. As supporters of the Freinet pedagogy they believed in stimulation of their children’s creativity by drawing. He finished the studies of illustration and comic strip at the Royal Academy of Fine Arts in Liege in 1999. Since that time he works as illustrator, graphic designer, web designer and marketing manager. 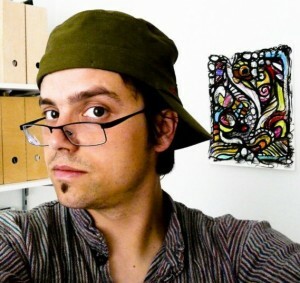 Currently he is working with painting and opens to you his world in the series called “Behind the Pixel”. © 2010 - 2013 Aimbé. All Rights Reserved.